The '32 Configurator - WWYD? Inspired by MasterMario’s post, in which he muses on buying a brand new 50 year old car, and our “configurator” posts, I put to you a question: Since you can build a ‘32 Ford brand new, right now (given enough money), how would you build it? Would you build an historic variety, like the McGee highboy with a copper-head flathead and dual carbs? Would you go for a radical restomodded channeled hardtop with Mustang II IFS and an LS? More so than probably any other car, the ‘32 is a blank canvas - if you’ve got the money, honey, we’ve got your disease. Funny thing - unless you go completely out of your mind, it would cost you less to build one of these exactly as you’d want it than many dream cars. Me? 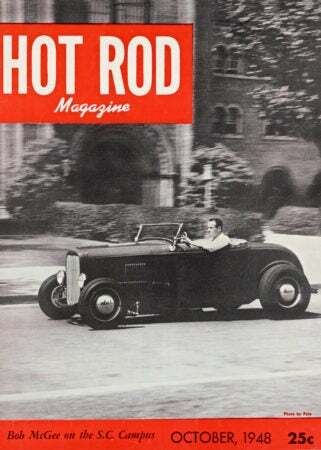 Money no object, I’d probably go for Ardun heads on a flathead, sectioned rear fenders mounted floating up front only, modifed leaf front suspension, ‘40 Ford style rear, Lincoln front brakes, all on a Tudor sedan with the roof taken off. Lightly chopped windshield, paint it brown. Kind of a period highboy for four that’s dirt-roadable and not a phaeton... but that’s just me.